IoT becomes a major revolution in the embedded system arena. 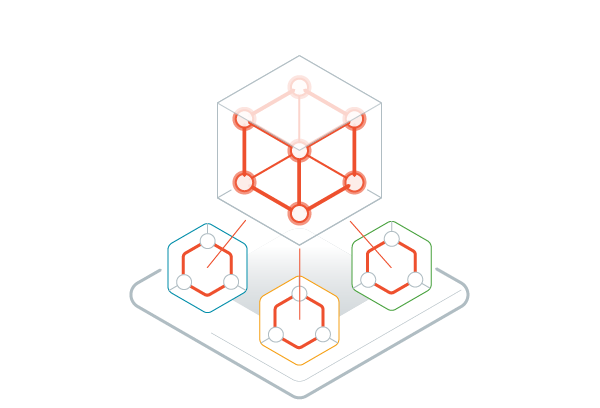 Connectivity converges to unified physical links such as Ethernet, WiFi or Zigbee. The challenge is now about supporting various data protocols of existing or future sensors and actuators. 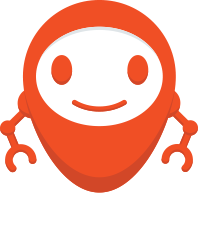 MicroEJ lets you manage on the fly protocol stacks libraries of your IoT devices. When a new sensor or actuator peripheral is detected in the IoT device environment, the IoT device can request a new peripheral driver app from the MicroEJ Application Store. Once the app is installed, the IoT device is capable of exchanging data with the new sensor or actuator peripheral. 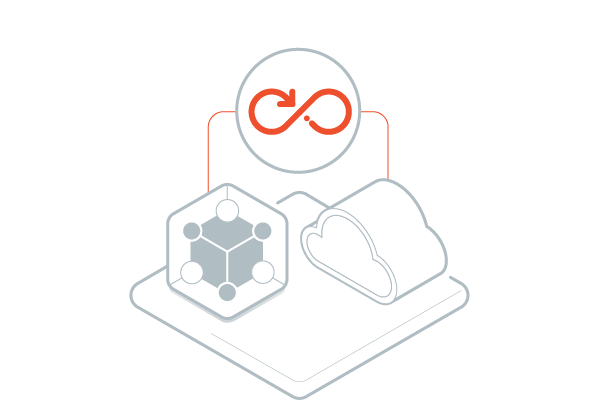 Cloud API’s evolve fast as Cloud providers continuously offer new features and fix security problems. However, embedded software life cycles are often slower and prevents IT teams from continuous updates. 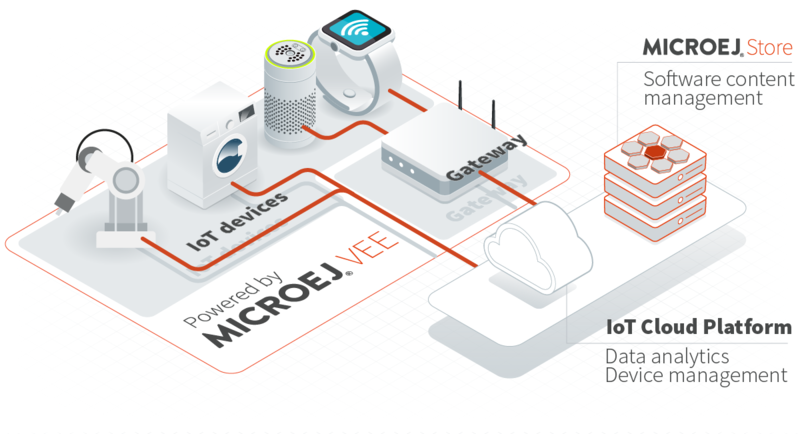 MicroEJ lets you update Cloud connectors of your IoT devices without device firmware update. In combination with the MICROEJ VEE embedded runtime and MicroEJ Application Store, developers can partially update the device software with a new Cloud connector app without updating the entire device firmware. Firmware can be kept unchanged for months while updates for Cloud compatibility can occur every week. IoT devices often use the latest updates in electronics each time they are designed to improve battery life for example. Developers therefore face hardware fragmentation and rewrite the same software for different electronic architectures. 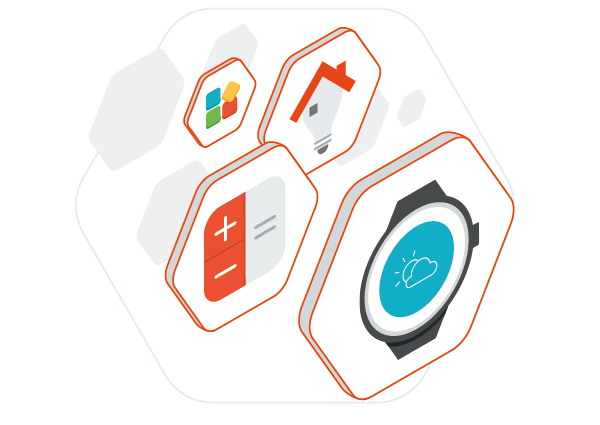 MicroEJ allows software components to run on any IoT device. When developers design software, MicroEJ offers the ability to run this software of various electronic architectures without changes. Developers can develop software once and make it available for all future products, each optimized for specific requirements. MicroEJ Application Store offers software content management for your fleet of IoT devices. 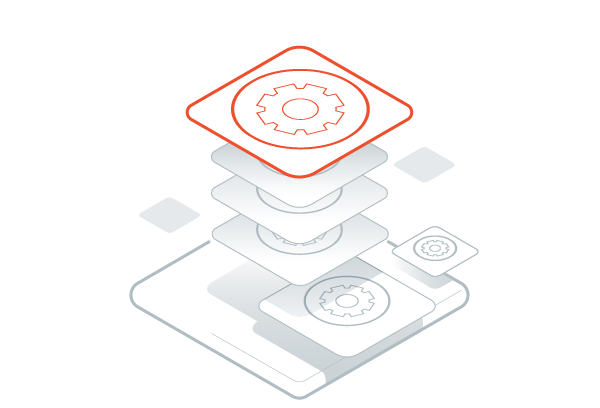 The Application Store is a software asset repository that holds components such as cloud connectors or device driver as apps. 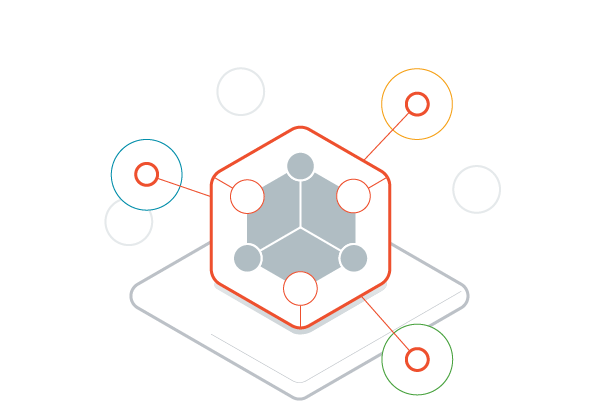 When required, new software component (apps) can be dynamically installed on IoT devices, whatever their design implementation involving various processor architectures and OS. 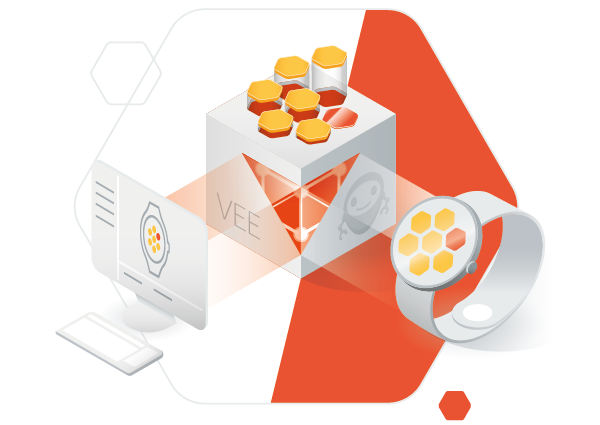 MICROEJ VEE offers virtualization and standard APIs as a software platform made available on a wide range of processors. Whatever the device and its architecture, application software can be executed without changes by actual and future devices. Support for wireless connectivity such as Wi-Fi, Bluetooth, Zwave, Zibgee, LPWAN, etc. Payload data formats: JSON, CBOR, etc.